Mr. Carl E. Fletcher was born November 1, 1949, in Huntsville, Alabama, to the late A.T. Fletcher and the late Mrs. Sarah Fletcher. He went home to be with the Lord on Sunday, September 16, 2018. He was preceded in death by five brothers: A.T. Fletcher Jr., Herman Fletcher, Mark Fletcher, George Fletcher, and Billy Fletcher; and one sister, Joanne Fletcher. 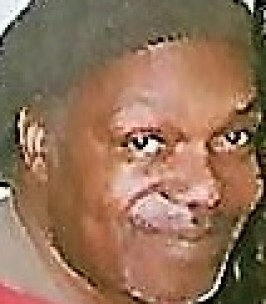 Carl E. Fletcher Sr., leaves to cherish his memory: a loving wife, Shirley W. Fletcher of Huntsville, Alabama; two sons, Carl E. (Joy B.) Ward, and Lobbie Townsand of Huntsville, Alabama; five daughters, Veronica Ward, Tonya N. Ward, Sonya R. (Kendrick H.) Ward, WyKeta R. Fletcher, and Latoya Wade of Huntsville, Alabama; two brothers, Roy (Chong H.) Fletcher and Kevin Wayne (Pearline) Fletcher of Huntsville, Alabama; two sisters, Doris G. (Carl) Pettaway and Edwina Thompson of Huntsville, Alabama; three aunts, Mary L. Pincheon, Ada (AKA, Aunt Pen) (Charlie) Mosley, and Ida M. Strong of Huntsville, Alabama; eighteen grandchildren, six great-grandchildren; and a host of nieces, nephews, and friends. To send flowers to the family of Mr. Carl Fletcher, please visit our Heartfelt Sympathies Store. We encourage you to share any memorable photos or stories about Mr. Carl. All tributes placed on and purchased through this memorial website will remain on in perpetuity for future generations. May I offer my sympathies on your loss. It’s so hard to lose someone we hold dear. I have found much comfort in the words of Jesus at John 11:23-25; “I am the resurrection and the life. The one who exercises faith in me, even though he dies, will come to life.” A wonderful promise that we can put our confidence in. To the Family; My you find comfort and peace during this season of grief. You are not alone. For God is able. God is surely able. He will be just what you need him to be. For there's a place were souls can go, where the rain don't fall, and the winds don't blow. Carl is at rest. Sending condolences and prayers to the family in this time of sorrow, may the Lord rap you all in his bosom until your morning comes for he is close to the broken hearted. I was sadden to hear of Carl's demise. We will all feel the void and miss his presence. May the Lord keep and give comfort to the family as we embrace yet another lost.